Technical and legal barriers to CCS and risks associated with the technology are diminishing. A serious obstacle to growth of the CCS industry, however, is difficulty in building a sound commercial case for the development and operation of CCS infrastructure. One way to significantly reduce the cost of CCS is to realise economies of scale by sharing a single CO2 transportation and storage infrastructure system among several operators of separate CO2 generating plants. 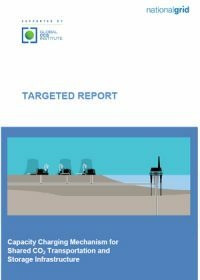 This report, prepared by National Grid Carbon (UK), sets out a commercial charging mechanism for the development of, access to, and subsequent use of a shared CCS infrastructure system. The study also explored a number of options for allocating the proportion of system development and operational costs between members of a shared CCS infrastructure.